Badmovies.org not only dishes on zillions of low-budget monster/kung-fu/exploitation/horror/etc cinematic masterpieces, but almost every film review also has - yes! - audio clips. Throw laughable sound bites into your dj mixes, radio shows, podcasts, or ipod random-ness. Friendly Persuasion has returned to the air and 'net; Otis Fodder has been playing strange music on the internet for a decade now (when he wasn't curating the 365 Project or running a 'net label), and his three hour weekly show is truly an embarrasement of riches, with a special emphasis on French-Canadian oddities, representing his new Toronto home. Godly Grooves is a near hour-long mix of German Christian '70s funk (just when you think you've heard it all, eh?) A big danke to Oskar for sending this jewel our way: "German DJs called Arok and Scientist did a (digital) mixtape of rare German Christian-themed funk music...this is stuff that was recorded before the commercialization and professionalization of the Christian music scene that's not nearly as big a market in Germany as it is in the US but does exist here as well. The music sampled in the mix is remarkable in its complete lack of the cool/hip that would otherwise be probably considered essential to this genre and yet it's of strange creative appeal - I'm certainly no expert on funk music, but the use of a recorder/children's flute on a funk track strikes me as rather odd...I don't know if this is any fun if you don't speak German. The thing I like most about the mixtape are the lyrics that are often very naive and contain a lot of quasi-liberation-theology capitalist-bashing in the name of equality." Crudcrud is in Morocco: a fascinating travelogue + Moroccan vinyl he's picked up along the way. I haven't been this jealous of a fellow music blogger since Radio Clash went to Africa. Cinema Terrorisme is a new-ish podcast for these End Times we're living in - a densely packed audio collage of music, sounds, speech, horror and insanity. Weee! 7 Layer Dip, on the other hand, is a North Carolina college radio show that is far more light-hearted, a romp thru bad/weird music (much of it taken from this here blog), and recipes. and here's a New Link. The Residents are on tour in the US and Europe, which doesn't have anything to do with the internet, really, but since the Beatles of the Bizarre only tour once in a blue moon, and, having been around for over 35 years aren't getting any younger, this might be a once-in-a-lifetime chance to catch perhaps the most famous group in weird-music history. No, not that kind of harmonica. The glass harmonica aka armonica, invented by Ben Franklin in the 1700s (yes, that Ben Franklin), and played by dipping ones fingers into a water trough and touching rotating glass cylinders, was said to drive men mad, has an eerie, squeaky sound, and is championed by Linda Ronstadt. The weirdest instrument ever made?!? In the late 1700 and early 1800s it was part of the classical instrument lineup with heavyweight cats like Mozart and Beethoven composing for it. And this 2002 album by Dennis James features Rondstadt briefly, but don't worry, there's no '70s hippie rock on here. Actually the album has that powdered-wig classy classical feel to it, even on the modern compositions. A weird, outer-spacey classical feel, that is. James is a pretty interesting guy. He accompanies silent films on theater organs (which he also restores), Clara Rockmore herself taught him theremin (which he used for a '20s Russian sci-fi film), and plays a variety of obscure glass instruments that I'd never heard of before. Got the whole album for you here. But beware! A German musicologist wrote: "The armonica excessively stimulates the nerves, plunges the player into a nagging depression and hence into a dark and melancholy mood that is apt method for slow self-annihilation. If you are suffering from any nervous disorder, you should not play it; if you are not yet ill you should not play it; if you are feeling melancholy you should not play it." 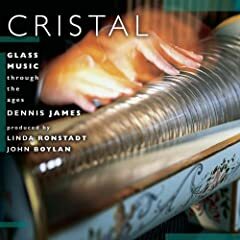 Dennis James: "Cristal: Glass Music Through The Ages"
I Cut People's latest album "The Inside Story" is 30 minutes of hysterical media cut-ups, somewhere between the outrageous humor of Wayne Butane and the morally righteous satire of Negativland. He claims that over 100 movies were sampled and I'd believe it. Great collage artwork and funny stories makes for an all-around handsome package. I Cut People "The Latest Distractions"
I've raved before about Ireland's Phil Retrospector, and the release of "Introversion," a full length, er, retrospective of his mashups should convince any holdouts. 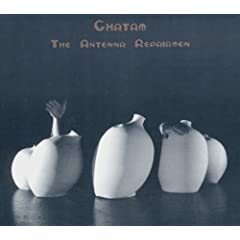 There's a powerful emotional pull to these nearly beat-less meditations on melancholy, often injecting highbrow sources like Philip Glass and soundtrack musics into pop cheese, giving it unexpected depth. Phil Retrospector "Bluebird Blackout" - Harry Dean Stanton reading Charles Bukowski, mixed with Muse and a bit of Bob Dylan. Tabou Combo "Pase Sou Ou" - like they say: "too, too funky"
Compas is more like African styles such as soukous then most Carribean musics, but if I were to compare com pas to, say, calypso/soca, dancehall, or salsa, I'd say it's like comparing Al Green to James Brown - it's more smooth and subtle. Must be that French influence. It still rocks the party like a mutha, tho. 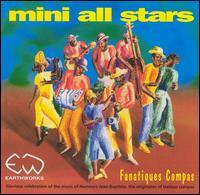 Mini All Stars "Fanatiques Compas"
Nemours was sick and blind by the early '80s and died in '85, so I'm glad that he li ved long enough to experience these recordings' huge success in the Haitian music world. 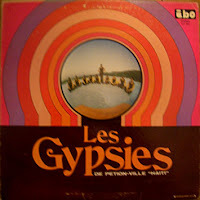 Les Gypsies de Petion-Ville "Haiti"
The now Florida-based madman guitarist of the band, Robert Martino, has a seemingly endless bag of catchy riffs at his disposal. Good luck, Haitian peoples! His singing occasionally veers into unintentional parody territory - it gets especially hilarious halfway thru "Heartbreak Hotel." It sounds like he's having a seizure. 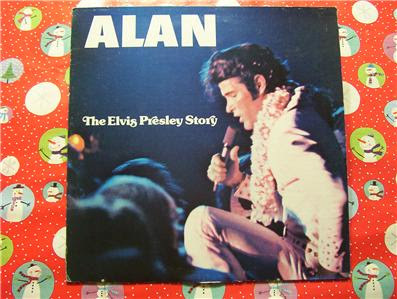 This was apparently recorded while The King was still alive. 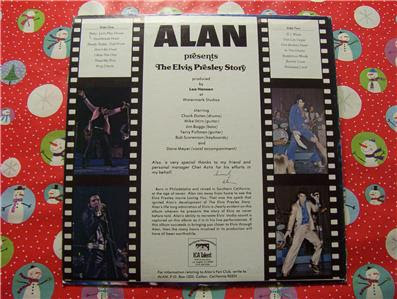 When I went on a tour of Graceland, the guide explained E's death by saying it was due to: "...a dependence on medications, and the pressures of trying to please all his fans." Well put! 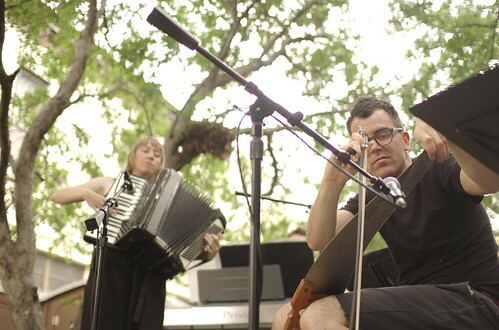 There are two bands in America who base their sound on accordion and musical saw. I wonder if they know about each other? Don't get me wrong - I love rock 'n 'roll like my name was Joan Jett. But having only a couple of sounds deemed "cool" results in a skimpy musical diet. 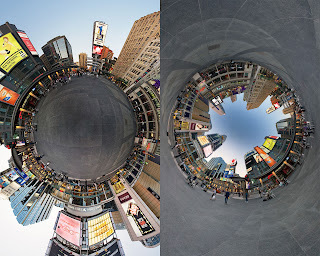 Information is lost, like when a language or culture dies off, and we're all the poorer for it. Madagascar's sound leans more towards the "garde" side of the antique-garde equation, sometimes getting quite hazy and sloooow, while Dreamland Faces have been know to play up their antique-ness, with guest crooner Randall Throckmorton providing occasional vocals, and even accompanying silent films. What's so funny about the squeezebox, anyway? It has a fantastic diversity of sounds and styles, from raunchy Louisiana zydeco, to the moving, melancholy tangos of Astor Piazzolla. And polka is fast and wildly energetic, and uses a two-step rhythm. Like punk rock. But at least one South American country thinks accordions are cool. News website GlobalPost sez: "In many countries, the general public gives little recognition to talented accordion players...Rather than aspiring to be guitar gods, many Colombian children dream of striking it rich with the accordion, a bulky instrument that seems to be the result of a keyboard mating with a cash register.” Watch the video, and see the full article here. Let's Polka is a great accordion blog that actually covers sounds far beyond polka. Not that there's anything wrong with that!